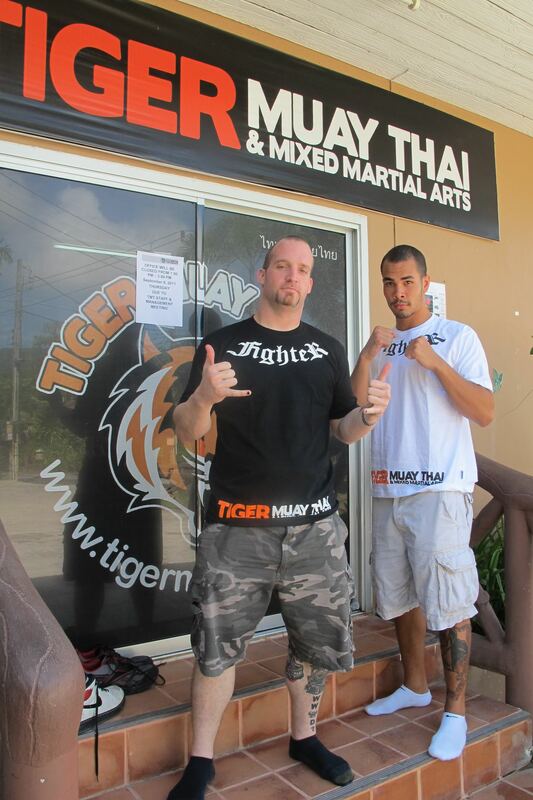 Training is jam packed with talent at the moment @TigerMuayThai and MMA Training Camp, Phuket, Thailand. American Top Team brown belt Ben Stark has arrived with teammate Taylor Krahl, as both fighters are looking to compete in professional Muay Thai bouts during their training trips to Phuket Thailand. All of that talent in the fighters program is inspiring to the entire gym, and has been motivating everyone from beginner-intermediate-and advanced to work hard while obtaining their own personal goals.